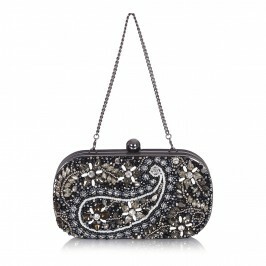 Alex Max jewel embellished clutch bags are designed to bring a dose of glamour into your life. Each Alex Max product is designed with creativity at the heart, which results in some spectacularly eye-catching products. Flamboyance and vibrancy are hallmarks of this striking designer. 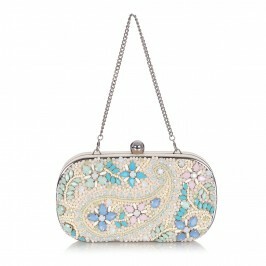 A jewel embellished satin trimmed clutch by Alex Max is the perfect companion to your favourite cocktail dress. Created for those with an eye for a statement bag, an Alex Max clutch is sure to garner looks of admiration wherever you take it. Designed with all the exuberance of vintage Hollywood glamour but always with an utterly contemporary twist - an Alex Max handbag makes the perfect gift for the woman who loves to look fabulous. 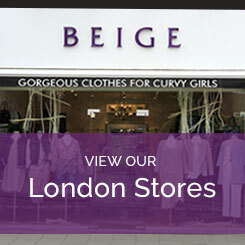 For more on Alex Max or the many other elegant designer labels that Beige offer, just visit one of our Beige stores today.